Cloud Storage is UKCloud's object storage solution based on Dell EMC Elastic Cloud Storage (ECS). Although you'll mostly interact with Cloud Storage through the API, the UKCloud Portal provides access to some information about your service. You can also use the UKCloud Portal to create new Cloud Storage users. For more information, see How to create a new Cloud Storage user in the UKCloud Portal. To complete the steps in this guide you must have been granted access to the relevant namespace. To view Cloud Storage information in the Portal, users must be granted access to the relevant namespace. Once access is granted, the user will be able to see the namespace, list the buckets in the namespace and reset the secret key. They will also be able to see consumption data for namespaces and buckets, with a graphical representation of average consumption for buckets. Log in to the UKCloud Portal and select your account. In the Portal navigation panel, expand the Contacts option and select All Contacts. Find the contact for whom you want to grant permissions and click the Edit button. Scroll down to the Permissions for Cloud Storage section and select the Access check box for the relevant namespace. In ECS, objects are stored in buckets. In the UKCloud Portal, you can drill down through your namespaces to see the allocated buckets available in your Cloud Storage service. You can also view storage consumption over the last 30 days. It's not possible to view objects within the UKCloud Portal. In the Portal navigation panel, expand the Cloud Storage option and select ECS. To list the buckets in a namespace, click the Buckets button for the namespace. 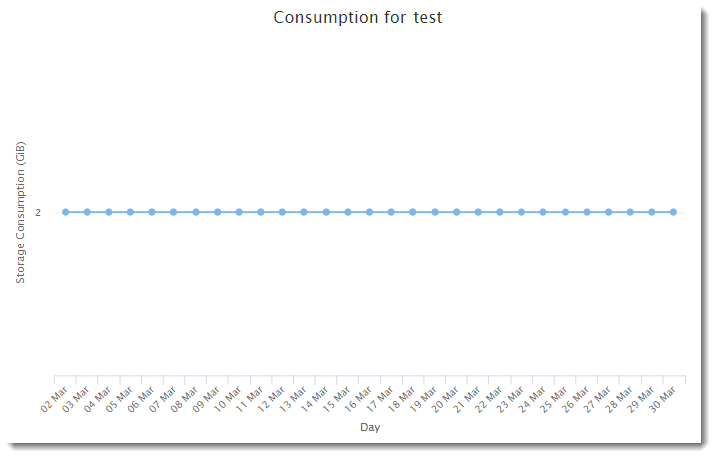 To view a graph that shows the amount of storage (in GiB) consumed by the objects in the bucket over the last 30 days, click the Show Consumption button for the bucket.